Unfortunately we are losing too many spearo’s to shallow water blackout. 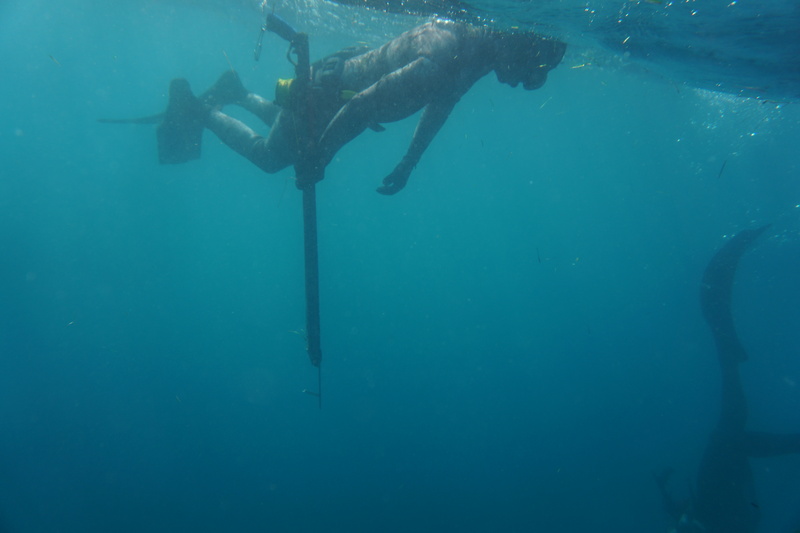 Fortunately it is a problem easily rectified by good spearfishing buddy protocol. Here are my tips for being a good buddy. One up, one down is the cornerstone of good buddy diving. When one diver is on the bottom, the other is on the surface watching their buddy. Watching your buddy on their ascent is crucial. This is where the dreaded shallow water blackout can occur. Look for any unusual signs in their behaviour, particularly poor coordination. Being on the surface also means you are on the surface to provide a second shot should they need it after they surface safely. Surface interval is one of the most important aspects to diving well. Relaxing on the surface with good breathing technique is the key to getting better and longer dives. As a buddy, it’s your job to look for hazards so your buddy can completely relax. Never rush your buddy and don’t be tempted to dive out of turn if a big one comes cruising through. Don’t rush your buddy’s breathe up and don’t be rushed. If your buddy can’t trust you because you snake their fish, they’ll never fully relax properly during surface intervals and then competition begins and team work flies out the window. Emanuel Bova from Manny Sub gets into an almost sleep like relaxed state on the surface before diving. I’d imagine that’s difficult to do if your dive buddy is bombing your fish every time you close your eyes. Don’t dive out of turn and wreck the system. Shallow water blackout can occur after a diver has surfaced. This means that if you’re not watching your buddy, they can pass out and slip away. Wait for your buddy to surface, complete their hook breaths and give the all clear. Ben Choi experienced this while spearfishing in Texas but fortunately for him his buddy knew what to look for and came to the rescue. Shrek surfaces and is about to start his hook breathes while Ben and I watch on. If you’re not close to your buddy then you may as well not even be there. If something goes wrong you need to be there as quick as possible, preferably within arms length. Strong currents and bad visibility make it even more important to be close to your buddy if something goes wrong. 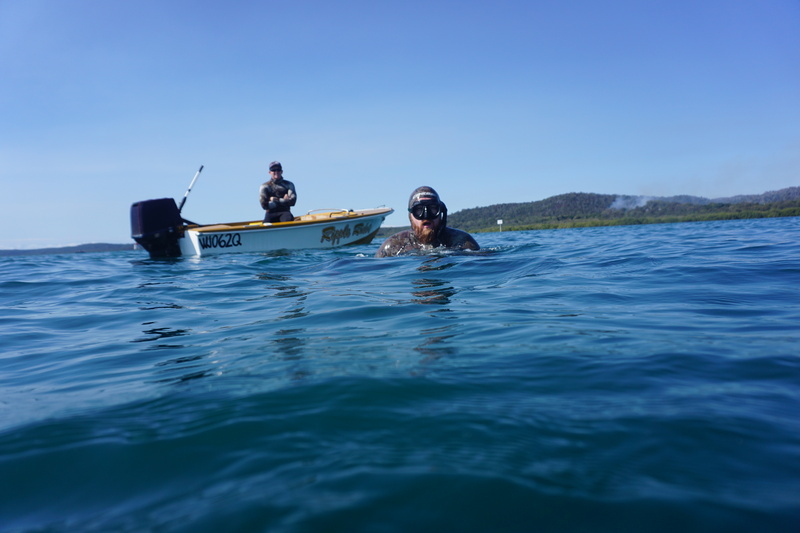 Adopting a firm spearfishing buddy protocol is not rocket science, stay close! Don’t swim away from your dive buddy. Shallow water black out is quite confronting. I’ve only witnessed Samba episodes a couple of times. The first time it took me a second for me to realise what was going on and react. This happened during static training in a pool and my partner exhaled whilst his face was in the water. He then managed to pull himself out of the pool and start spasming looking somewhere between a midnight oil music clip and an outtake from the Exorcist. The second time I witnessed Samba was after a swimmer surfaced and then preceded to sink back into the water. Fortunately the second time I was ready for it. Lets not forget – good buddies bring spare buffs. Check out this pack. The main things I took away from both encounters is how quickly blackout happens and also that if you’re more than an arms reach away, you’re useless to your buddy. Can’t stress enough how important doing a free diving course or joining a free diving training squad is, if only for the safety and recovery training. Stay safe and look after your mates. 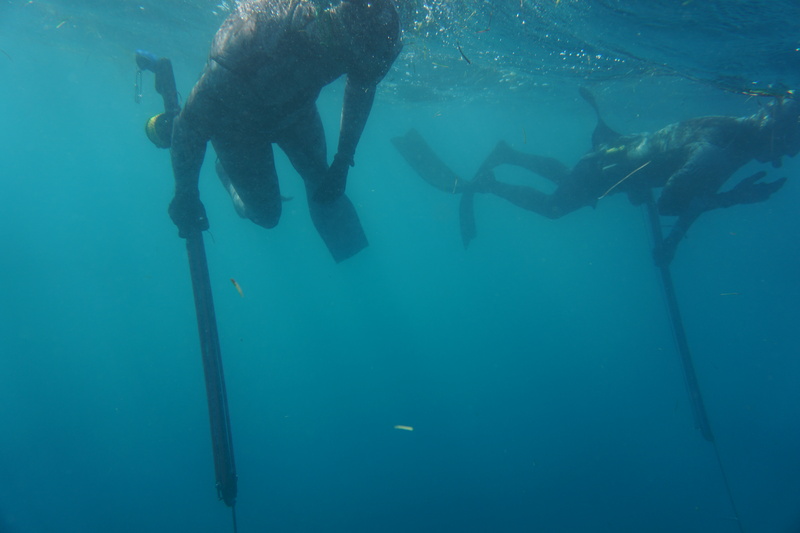 If you have any further tips for good spearfishing buddy protocol let me know in the comments.